We were up early again and after breakfast (at about 7:30) we were on our way to Italy. I was very excited to see Italy but it was a long ride to get there. At about 11:00 we stopped for lunch in Italy. Things work weird at the stop. First you go to the kiosk to see what food they have, then go to the cashier to pay and then walk back to the kiosk to collect the food (and hope there is still left). After eating we drove on and at about 14:00 we reached Venice. There was a change in the weather from Austria. The sun was out and it was warm and humid. We got into a boat to take us to the Venice main island. It takes about 30 minutes with the motorboat. We went pass other boats and saw cruise ships and old buildings while looking for the first glimpse of Venice. 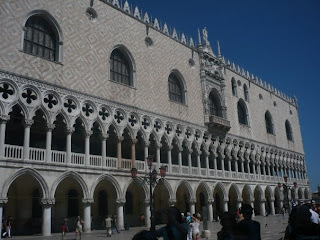 When arriving on the main island we walked to Piazza San Marco or St Mark’s Square while taking pictures the whole time. We saw the Bridge of Sighs before entering the square. Inside the square there was so much to see but first we walked to Murano for a glass-blowing demonstration. prison to the square for execution. The bridge got is names because they were sighing while walking across the bridge. After the demonstration we went back to Piazza San Marco for a better look at everything inside the square. 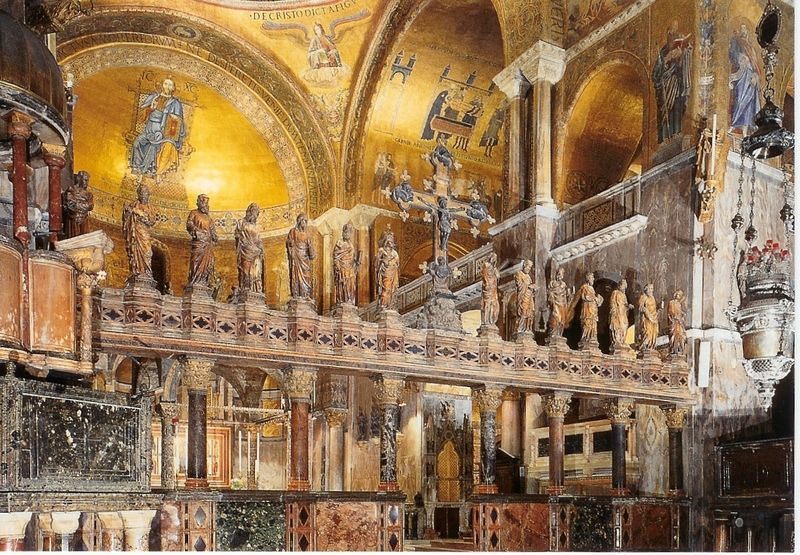 We started with Bascillica San Marco. The Basilica was originally built in 829 but was rebuilt in 1063 after a fire destroyed it. 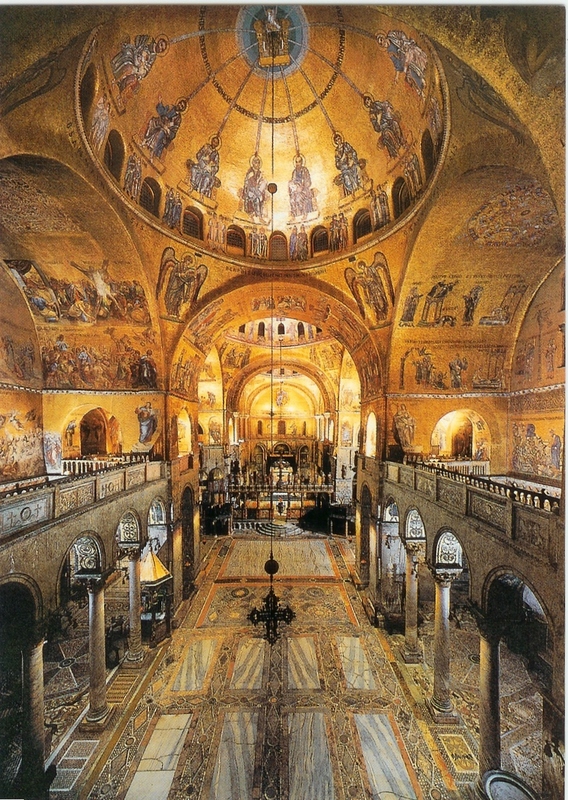 We stood and admired portals and domes of the cathedral with the beautiful mosaics. The inside of the cathedral was different from what we expected. 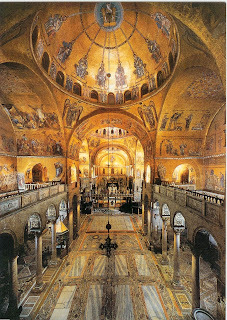 The gold mosaics on the walls and beautiful ceilings amazed us. We wondered around inside for a while and then went to buy some postcards as no photos were allowed inside the Basilica. The Campanile di San Marco is a bell tower in Piazza San Marco. It was rebuilt in 1902 after the original 10th century structure fell down. The tower is 98.6 metres high. 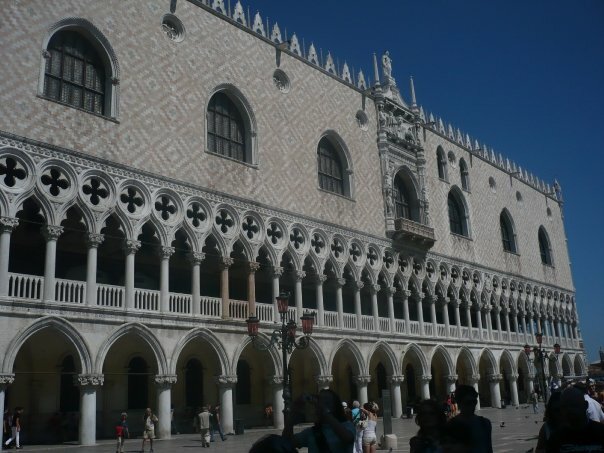 The Doge’s Palace or Palazzo Ducale was the home of the Doges of Venice. The building was begun in 1173 and expanded in 1340.